How the Earth came to be is a question that has baffled scientists for centuries. It’s been researched for centuries and we’re still not much closer to understanding how it all got started than we were a thousand years ago. Thanks to Stanford University though, we’re at least a tiny step closer to understanding how the Earth’s core was formed. 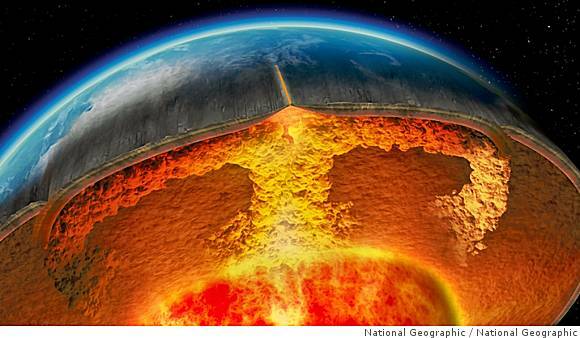 New research has shown that the Earth’s core could’ve been formed through a process known as percolation. It involves molten iron slowly melting through the Earth’s solid silicate layer and making its way towards the center. It’s a complex multi-stage process that proves that we can’t think that the core was formed quickly in a single event/moment. The researchers recreated the events that would’ve had to transpire by taking small bits of iron and silicate rock, squeezing them between diamond tips, shooting them with laser beams, and then viewing everything through X-ray imaging after it all cooled off. 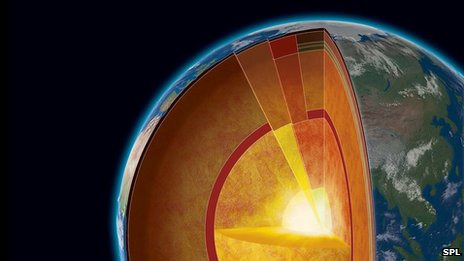 The experiment showed that percolation, which has always been theorized as a possibility, could certainly have been used to create the Earth’s core. I’m not entirely sure why this matters when there are more pressing issues that deserve scientific attention, like a cure for cancer and overpopulation, but it is an interesting find. Do you think this is a waste of time and money?